A: I tend to think in scenes. My books frequently start with an image of one scene and then I build from there. 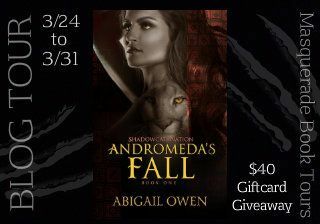 For Andromeda’s Fall I had a mental image of a mountain lioness high on a rock overlooking wooded mountain terrain. She is a sentry of some sort. But above her is an Alpha male mountain lion who is watching her. Once I had that in my mind, I had to figure out the why, who, how’d they get there, and what happens next. A: When I do series, with the first book I try to come up with a title that will translate well into future titles. I decided I wanted to do two word titles with the name of the character and then an action-y noun or verb. For consistency I listed out all sorts of words to see if a common letter popped out. It ended up being Fs (Fate, Fall, Fury, Fortune, Failing, Faith – there’s a ton.). I debated having the name be the female lead’s first name, or the male lead’s last name. For example, the short story which kicked this off – Hannah’s Fate – was almost Jensen’s Fate. 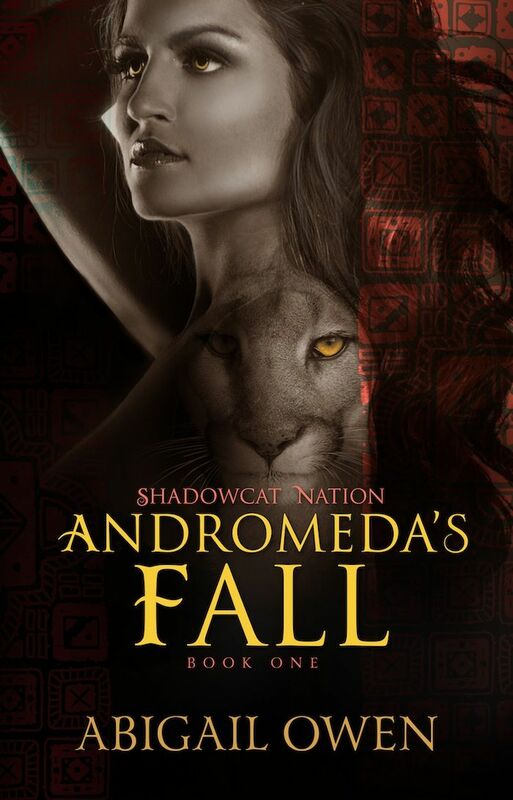 For Andromeda’s Fall, I knew that Fall would work because of the characters “fall from grace” that sort of kicks off the story. I picked Andromeda because I’ve always loved that name – and when do you ever get a chance to use it. J Oops that was a long answer. Lol. Did you self-publish or publish traditionally and why? A: I self-publish, though I am pursuing traditional. 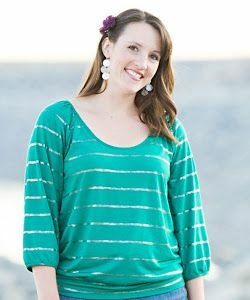 I got started with self-publishing when I finished my first book – Blue Violet – but I honestly wasn’t sure it was any good. I thought I’d give it a test run – although when I decided to do that, I went all in with it. The feedback was so positive, that I decided to keep going, and then I got a little addicted to the process. I actually love owning every part of publishing. The writing is my focus, but the other aspects are fun too. Ever-evolving! I usually start with a basic outline – just the key plot and character arcs. Then I start writing. First draft is ALWAYS my worst. And always very, very basic. It’s the bare-bones of the story line. Then I go back and start filling it in. I’ll run through it multiple times looking at a different focus each time – dialogue, character evolution, sanity gaps/plot holes, etc. Then I send to Wendy – my awesome editor and the process really gets started. Usually a round with her and then off to beta readers. Another few rounds with Wendy. And then my last personal rounds for final tiny grammar cleanup. A: I’m mostly a pantser. I have done really complicated outlines, but I find that I change things enough as I go that those specific outlines feel like a straightjacket, and I just end up re-writing them 100 times. I do still outline a little bit. I use a program called Scrivener to help me – it looks like note cards on a cork board. But it’s more concepts and where I want the timing in the novel – not the specifics of getting from point A to point B. What part of the writing process is the hardest for you? The first draft! Lol. This story is just exploding from my brain and getting the basic structure onto paper is so stressful. I do much better in later drafts when I can relax and really make it good. What tips can you give on how to get through writers block? A: Keep writing. I have a personal rule that I write at least three pages a night. I picked that number because 3 pages is not a ton – it’s doable and not that intimidating. But it also adds up faster than you’d think. That’s ~20 pages a week and a 200 page first-draft in ~2 months. There are nights when three pages is painful and I only get one. There are nights when I bust through twenty and only stop because I have to work in the morning. If I stop writing due to writer’s block, I won’t finish that book. What kind of music do you like to listen to while you write? A: Pitbull radio on Pandora. Lol. I love the beats. A: I’ve been on a Harlequin jag lately. Lucy Monroe is one of my fav authors along those lines. I tend to reread her stuff. I am re-reading “Unbroken” by Laura Hillenbrand – all the press on the upcoming movie made me want to be inspired again. One of my fav books of all time. I also just finished Four Weddings and a Werewolf by Kristin Miller. Loved it. I spend a lot of time with my family. The kids have lots of school/activity stuff that keeps us busy. We try to do lots of outdoors stuff – hiking, running, etc. I live in Northern Cali, so for non-family fun, we like to go wine tasting. I’m also an organizing phenom (or OCD). Lol. I actually enjoy organizing my house in new, fancy ways. What advice would you give an author just starting out? A: I have self-published 3 books from a different series – the Svatura series. Blue Violet – the first in the series – was my first self-published book that got me started. The fourth and final book of that series – Black Orchid - comes out in May! Right now I’m in editing for Black Orchid. In addition I’m starting writing on both the next Shadowcat Nation book as well as a stand-alone contemporary romance involving skydiving. I’m very excited about both.